Bindi Irwin and Chandler Powell’s break-up looms – Derek Hough and Bindi have by far the closest connections of any of the Season 21 teams on Dancing With The Stars. Not only do they have undeniable chemistry on the dance floor, but they seem to really “get each other,” Derek and Bindi practically finish each other’s sentences, and they seem to be spending a lot of time together off the show. Derek Hough and Bindi Irwin are such good “friends” – that Derek is rumored to be trying to land his DWTS partner her own TV show. Every season during Dancing With The Stars, rumors pop up that celebs are dating their pro partners. And, seeing as how the rumors about Robert Herjavec and Kym Johnson turned out to be true, and Maksim Chmerkovskiy just confirmed he hooked up with one of his partners – it wouldn’t be far fetched to believe that something is going on between Derek and Bindi. Although Bindi and Derek’s relationship still seems to be platonic, at this point no one would be shocked if Bindi and Derek did wind up taking things too the next level – not even her boyfriend Chandler Powell. Bindi Irwin and Chandler Powell, a professional wake-boarder began dating a few months before she began her stint on Dancing With The Stars. Although Bindi and Chandler profess their love for each other on social media – their relationship is still relatively new … and fragile. Dancing With The Stars has come between grown husbands and wives of several years – the odds of a teen romance surviving it are even slimmer. 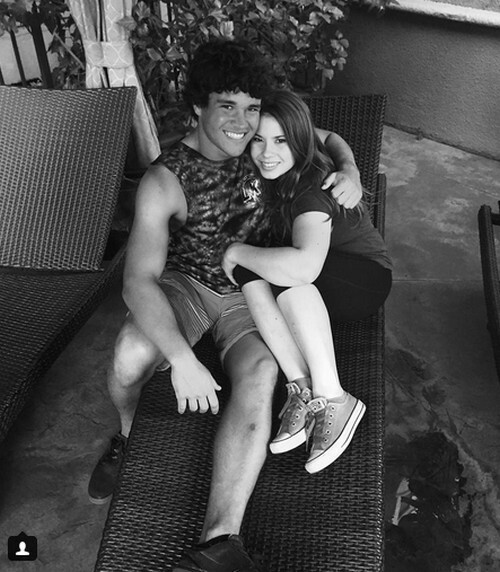 Do you think that Bindi Irwin and Chandler Powell will last through Dancing With The Stars? Should Chandler be worried about her relationship with Derek Hough? Let us know what you think in the comments below! 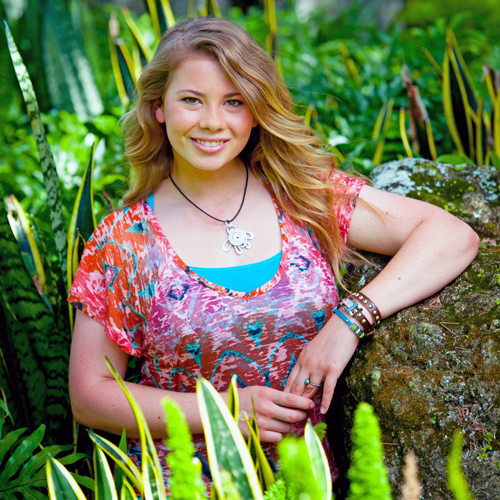 Dancing With The Stars Season 21 Spoilers: Steve Irwin’s Daughter Bindi Irwin Confirmed DWTS 2015 Cast Member!